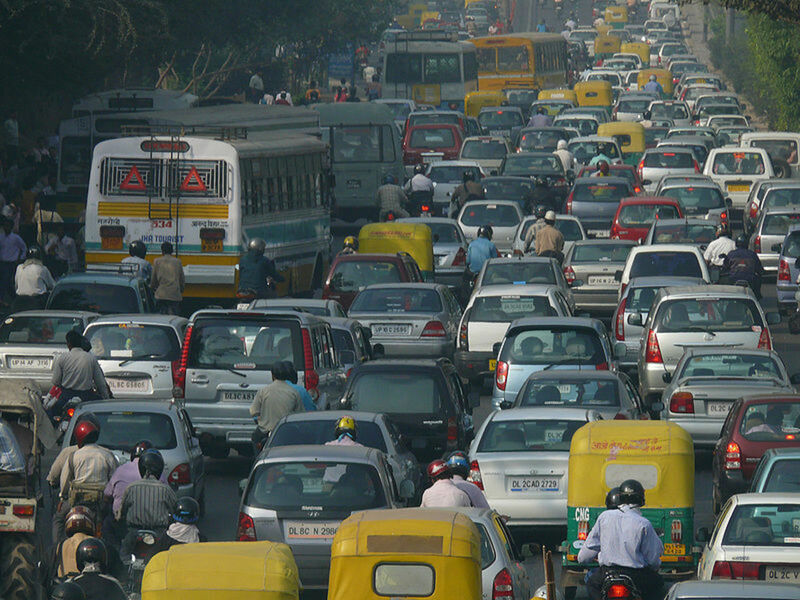 Clouds are large groups of tiny water droplets (vapor) or ice crystals that cling to pieces of dust in the atmosphere. Clouds are so important to the earth's weather that meteorologists (people who study the weather) also study the clouds and their movement. In fact, without clouds, it wouldn't rain or snow! They come in all different shapes and sizes. Some are really low to the ground and some are way high up in the sky. 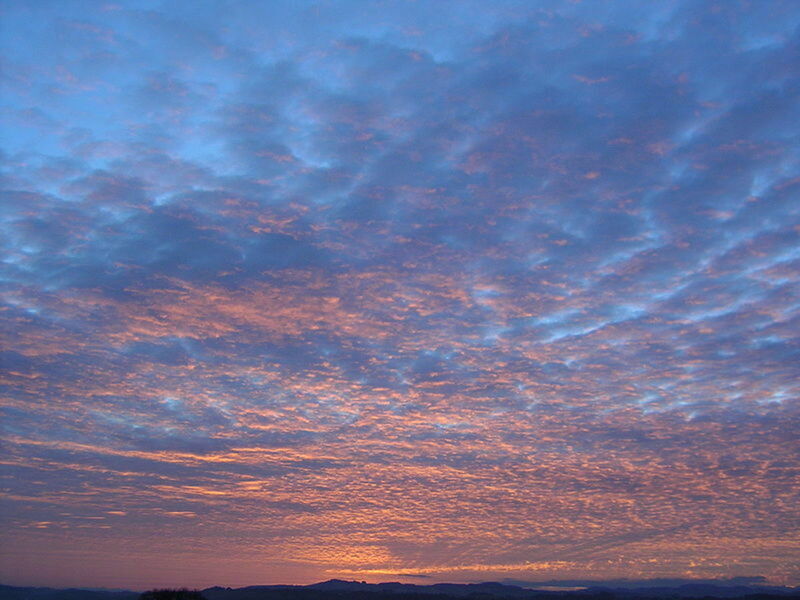 Scientists have developed a system to classify the different types of clouds. Each cloud you see can be put into one of the many categories based on both their general shape and how high up they are in the atmosphere. 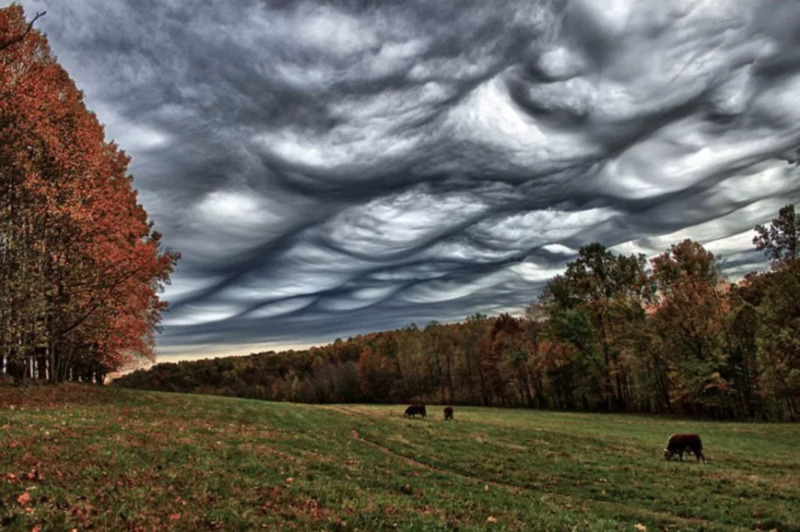 These are the highest clouds in the atmosphere. 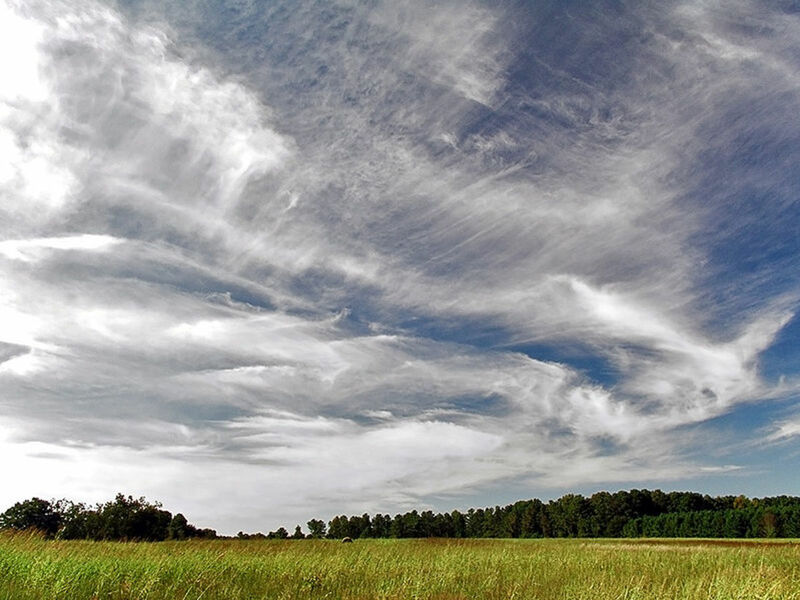 Cirrus clouds are thin, wispy clouds that often appear on days with fair weather conditions and low winds. 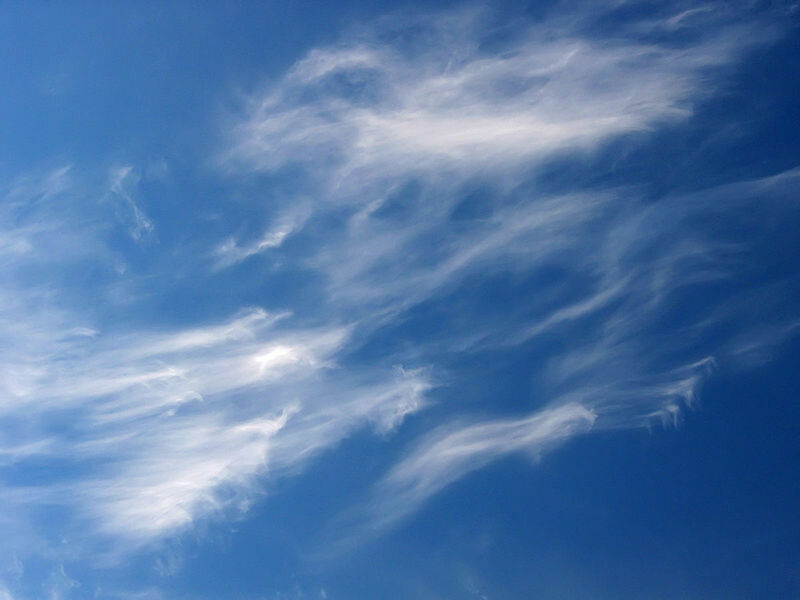 In fact, the word cirrus means "curl of hair" in Latin! 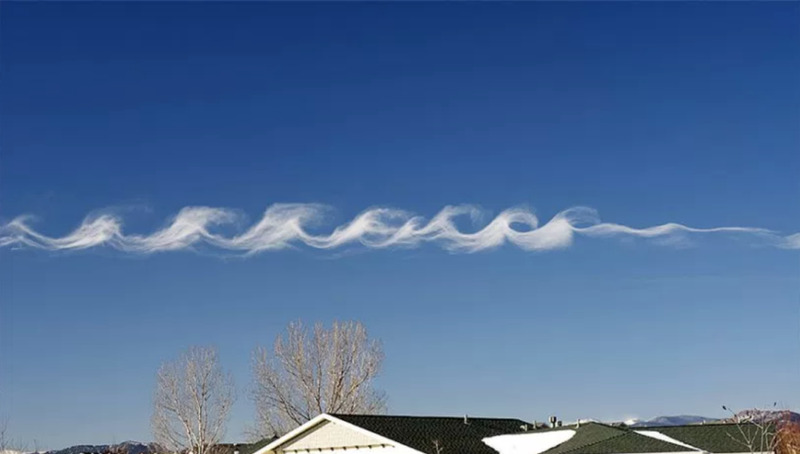 Because of the freezing temperatures high up in the atmosphere, these clouds are usually made up of ice crystals which give them a bright white appearance. These clouds form in flat sheets, so they aren't as thick as the other types of clouds. 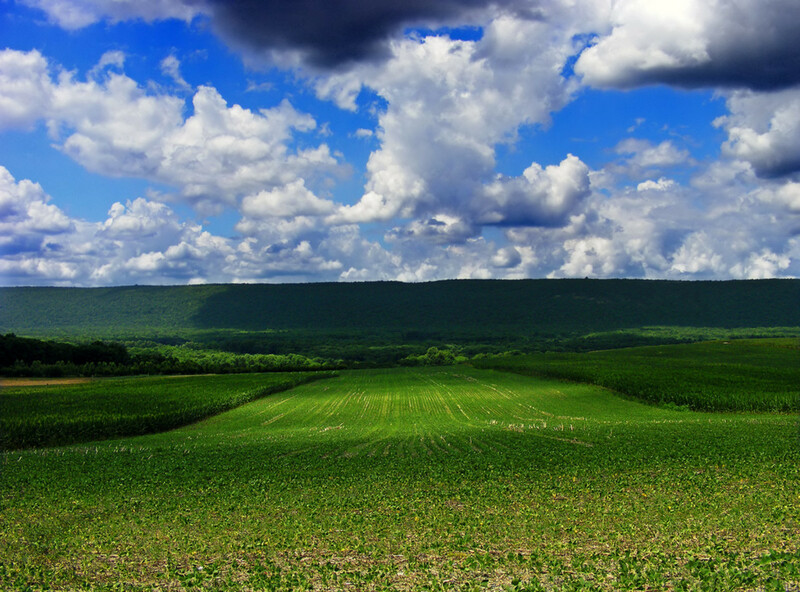 Cirrus clouds are also spread out in patches, with large breaks of the sky in between them. 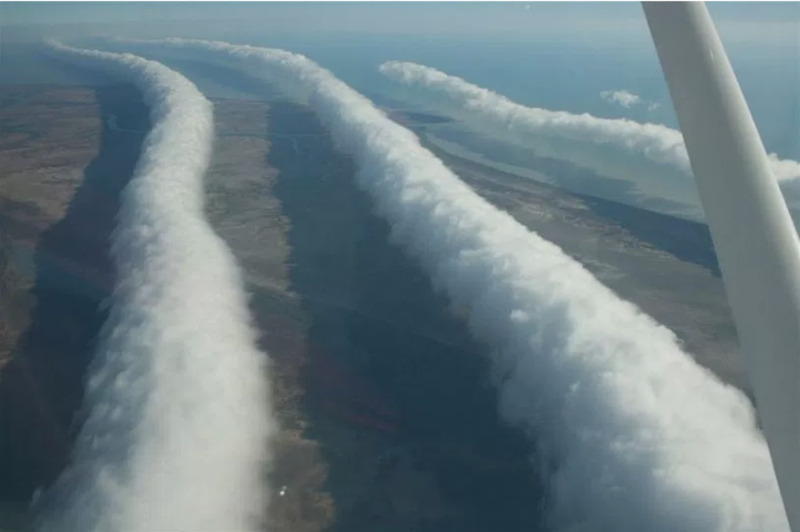 Since these clouds are so far from the ground, they aren't often affected by the changing weather on the earth's surface. Instead, they peacefully float along from west to east. Cirrus clouds are often a telltale sign that the weather is about to change for the worse. 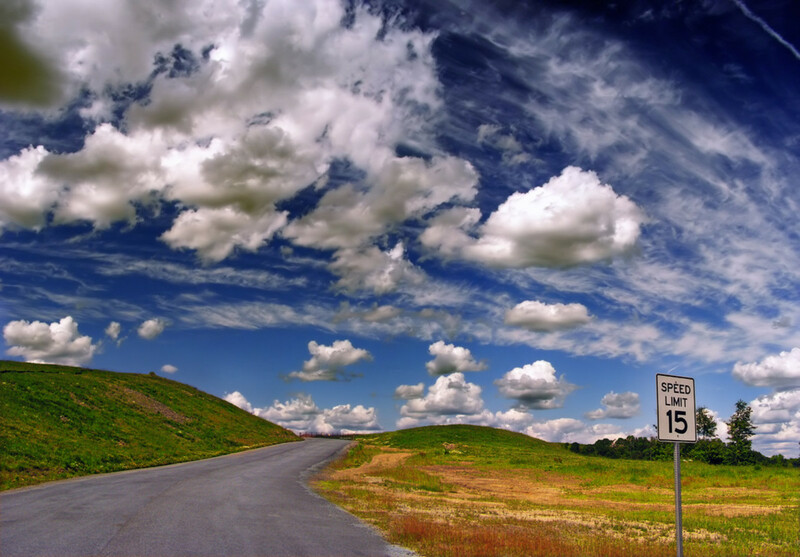 Cumulus clouds are bright white and look like big puffs of cotton. The word cumulus is Latin for "heap" or "pile." This is because these clouds are sometimes extremely thick and tall and they often grow upward in size. An easy way to remember this is to think of the word accumulate, which means "to gather an increasing amount." 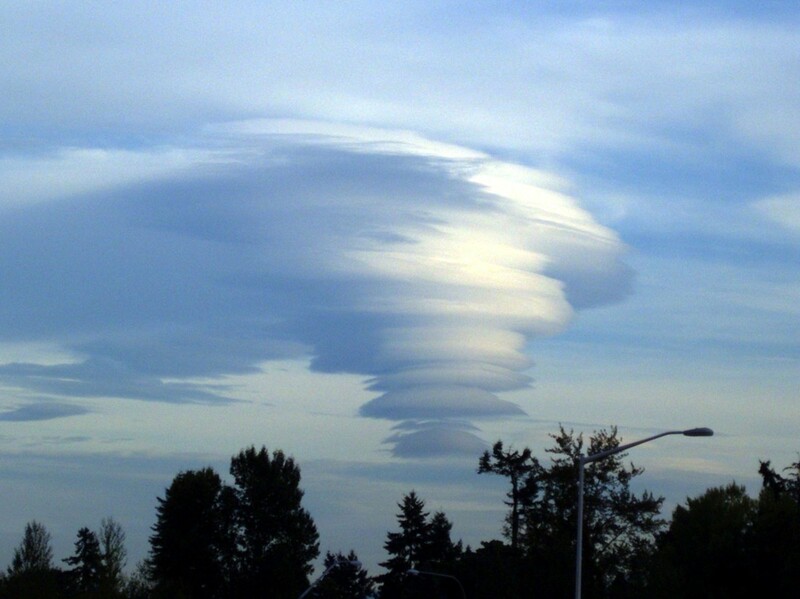 The bases of these clouds are often flat and the tops are usually composed of rounded sections. 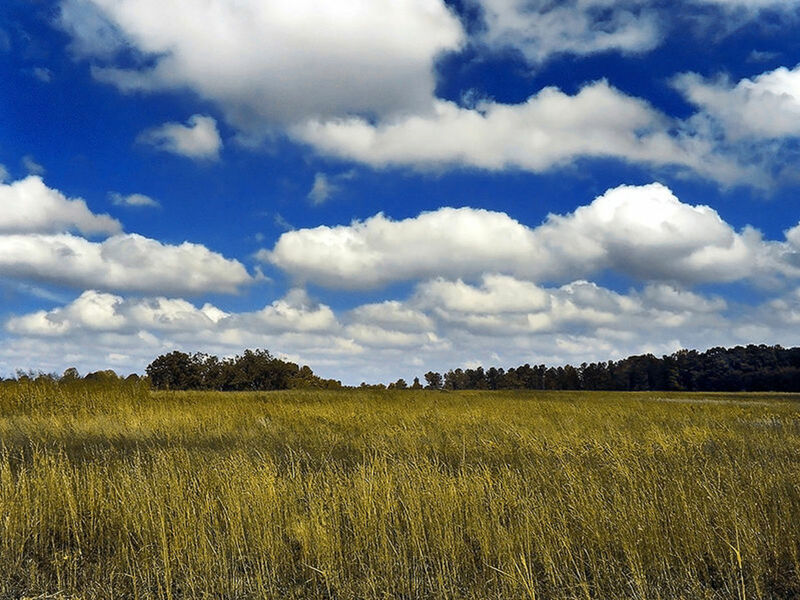 Cumulus clouds are vertically developing clouds which mean they can become extremely tall clouds. 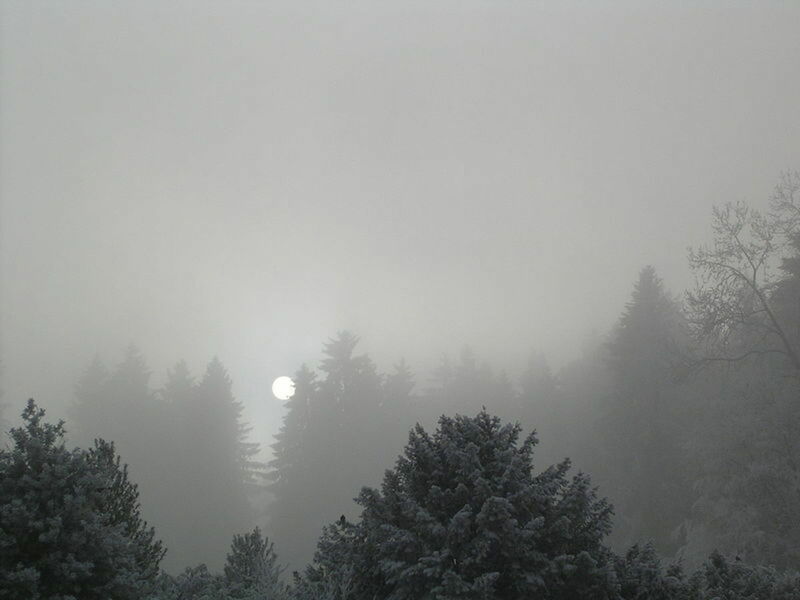 Stratus clouds are thick, gray clouds that look like fog that hasn't touched the ground. In fact, these clouds sometimes are made up of fog that has lifted from the ground. As you may have guessed, these are low-altitude clouds, which means they are really close to the ground. When someone says, "today is a gray and cloudy day", they are usually referring to these thick, uniform clouds. 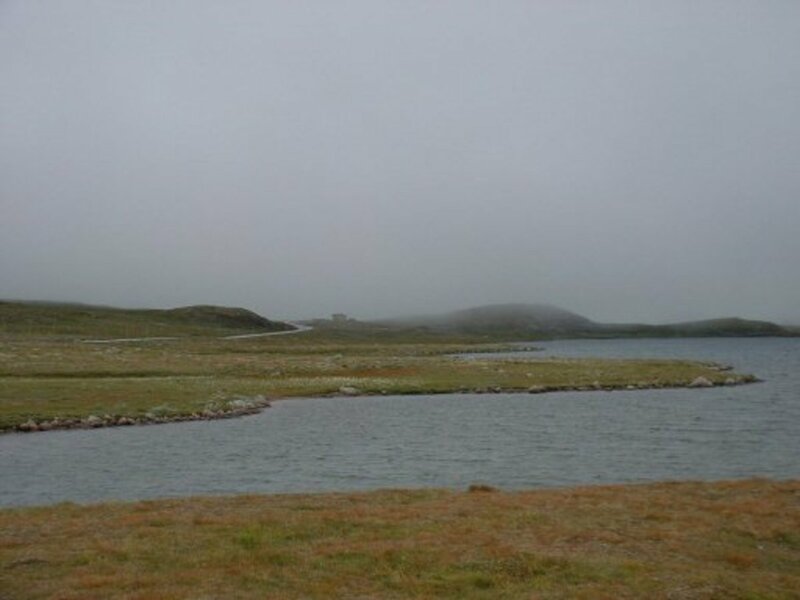 Stratus clouds often produce a light, drizzly rain or snow, especially when it's a nimbostratus cloud. The word "nimbus" means rain in Latin, so these are the clouds that produce rain. 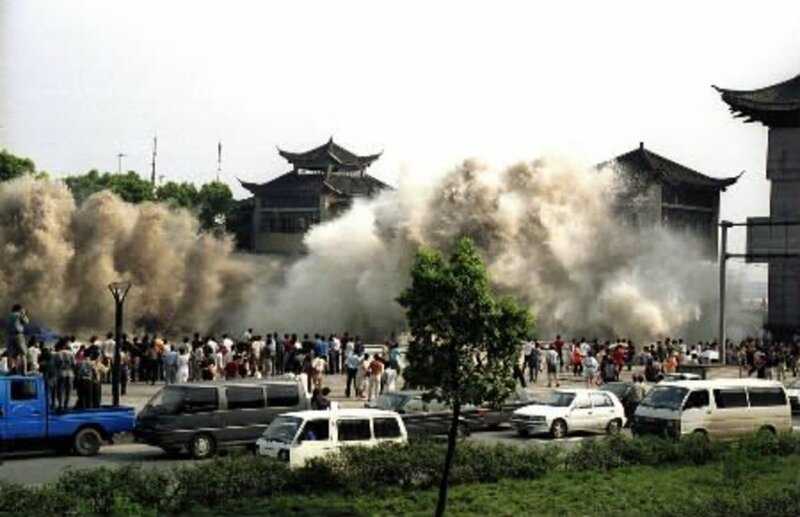 Any cloud with the prefix "nimbo" or the suffix "nimbus" is a type of rain cloud. 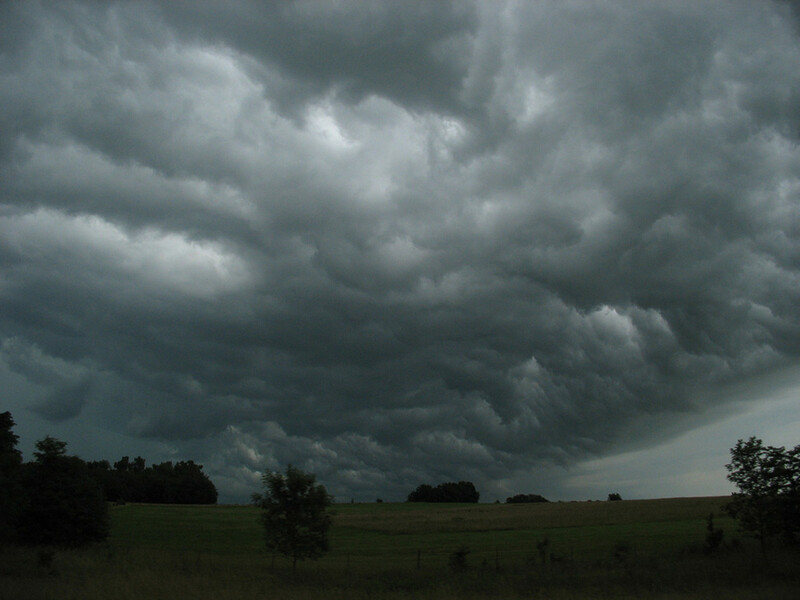 For example, a nimbostratus cloud is a stratus cloud that will cause rain or snow. 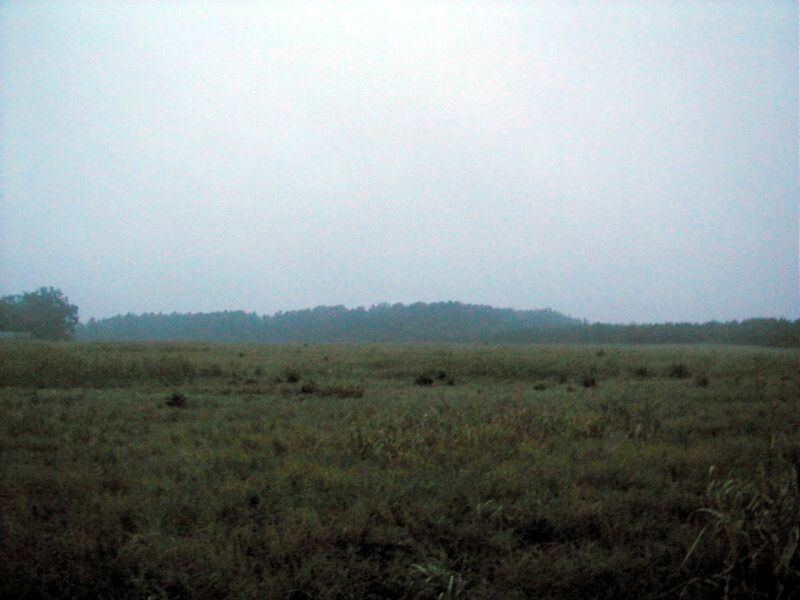 Since stratus clouds are dull, gray, and featureless, nimbostratus clouds can be seen on gray, rainy days. 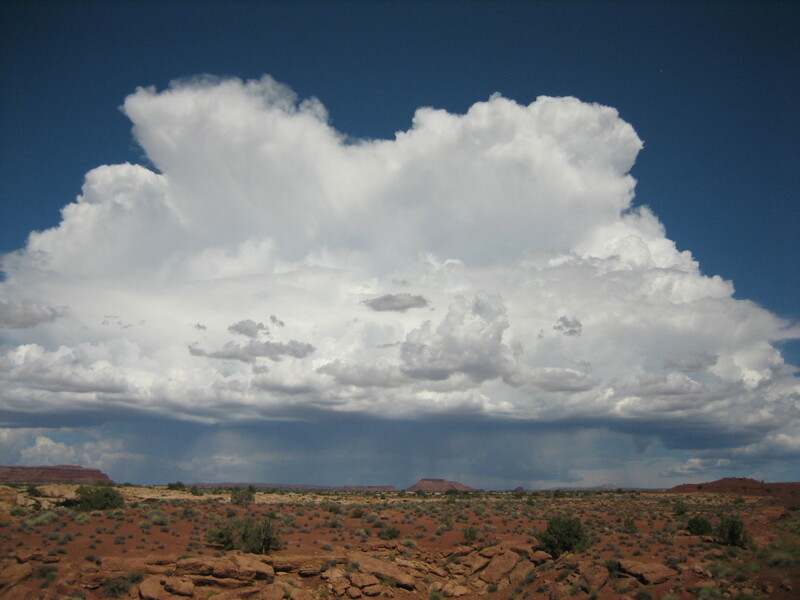 Another type of rain cloud is the cumulonimbus. Since cumulus clouds are the heaping, giants, cumulonimbus clouds are giant, heaping rain clouds. 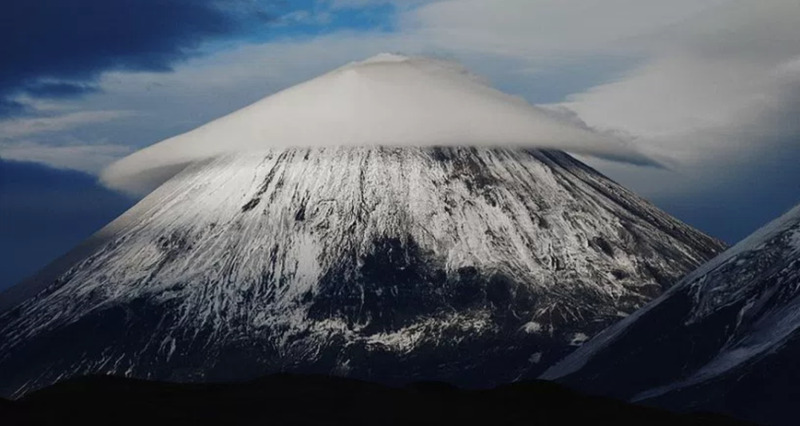 These clouds can be so huge that their bases start at only 1,000 feet above the ground with a top of 39,000 feet! These clouds, sometimes called thunderheads, form into the shape of an anvil which is a sure sign of a storm! 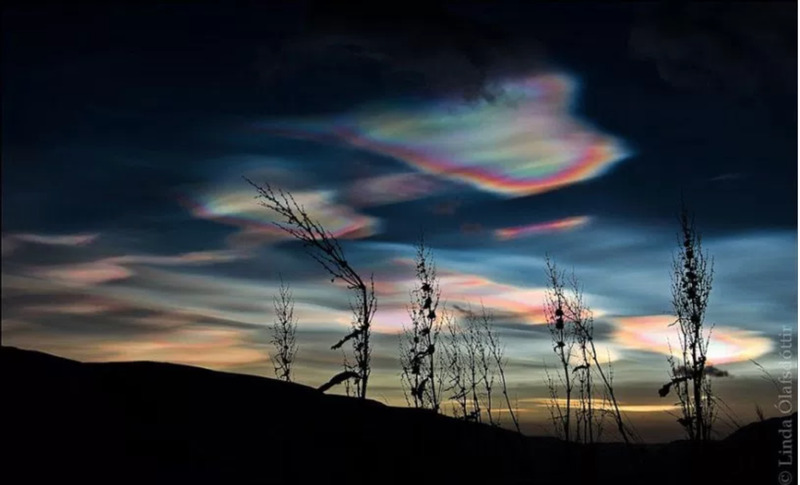 You may have noticed from the last section on the different kinds of nimbus clouds, that different clouds types exist beyond just cirrus, cumulus, stratus, and nimbus. 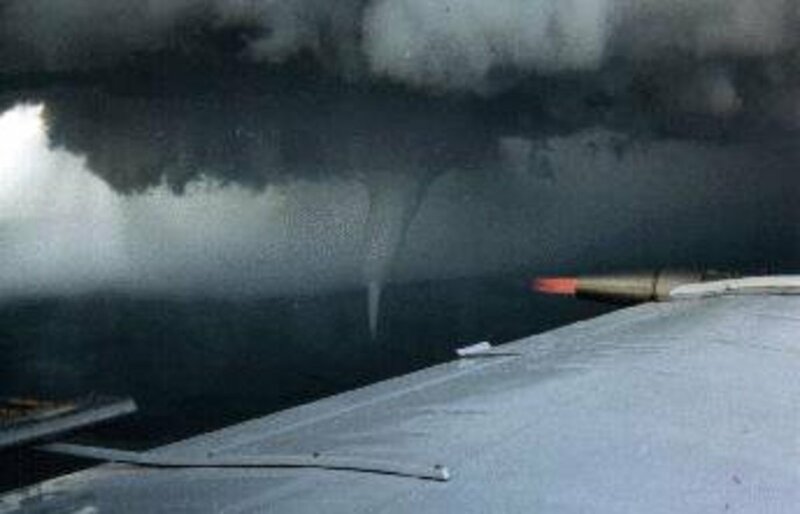 You've learned about nimbostratus and cumulonimbus clouds, so let's go over some of the other kinds. 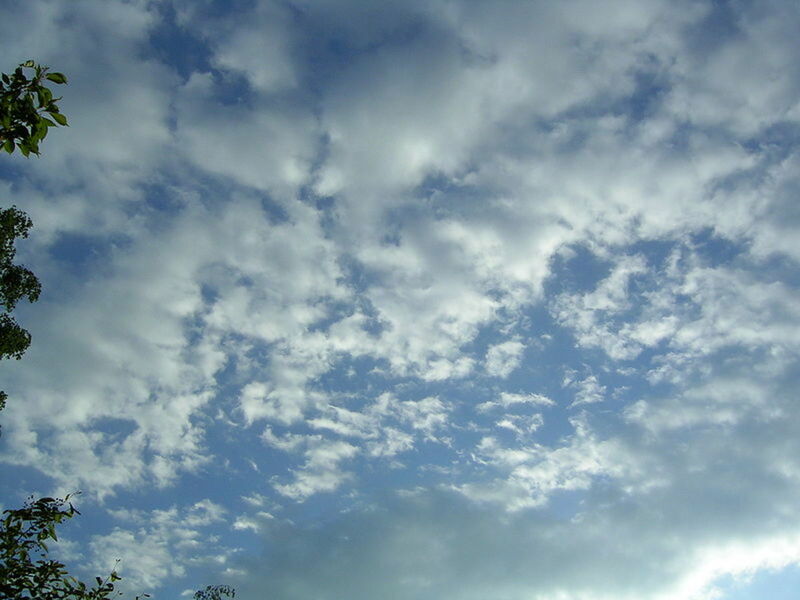 Most clouds can be described by mixing and matching the terms cirrus, cumulus, stratus, and nimbus. 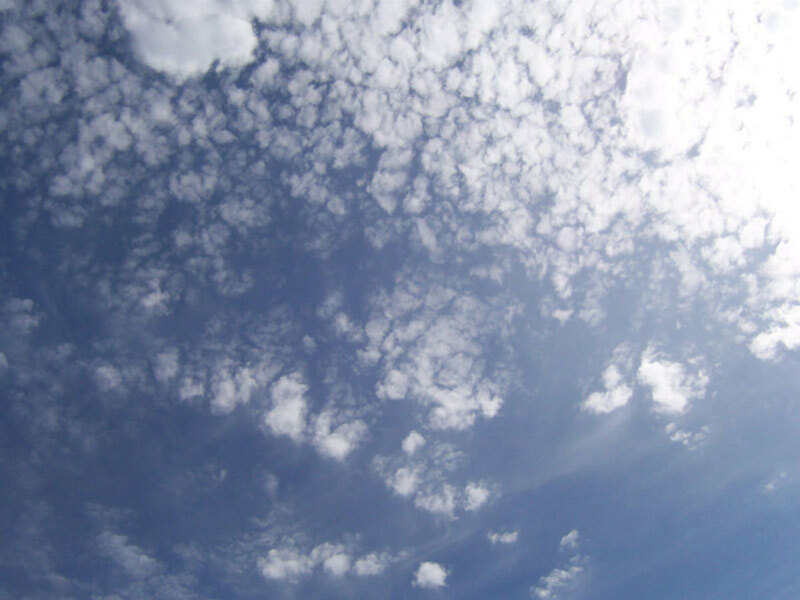 For example, there are cirrocumulus clouds which are vertically developing (and blotchy) clouds way high up in the atmosphere. 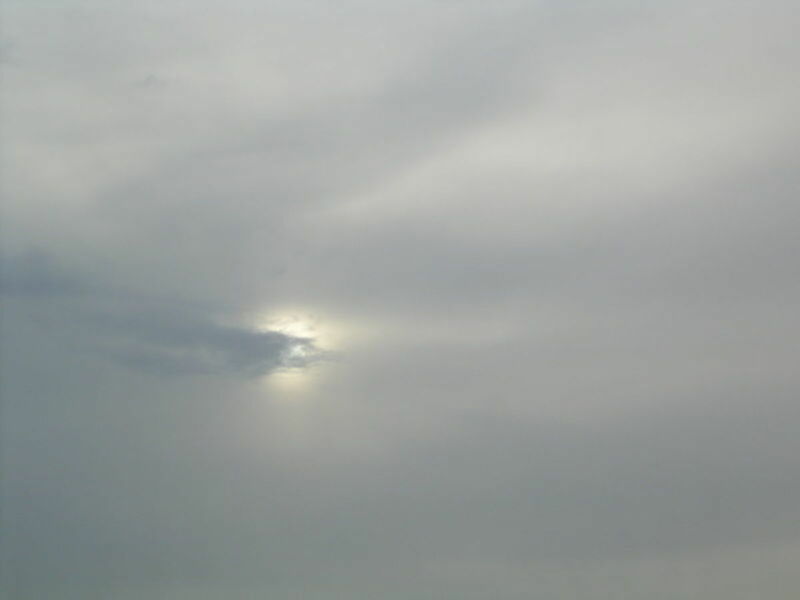 Cirrostratus clouds are thin, wispy sheet clouds. 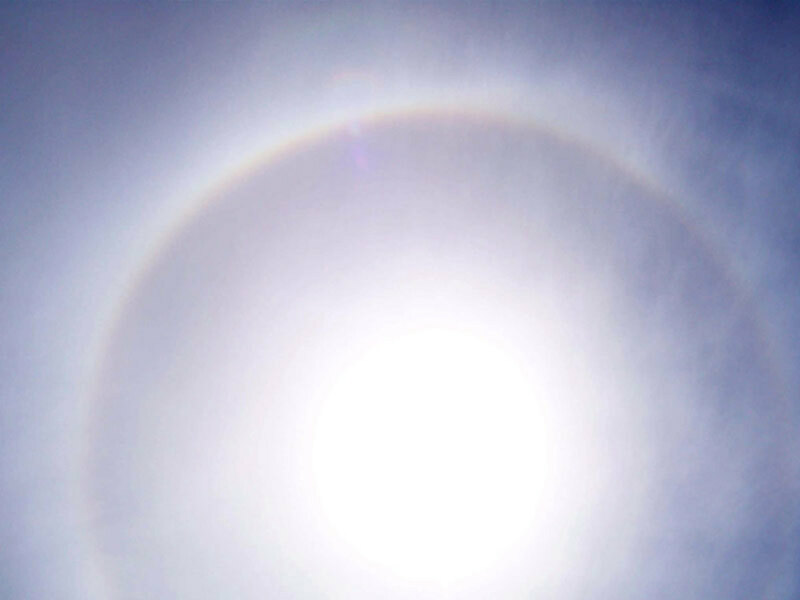 What's cool about these clouds is that they can cause a halo-like appearance around the sun or moon! This is caused by the light refracting through the cloud's vapor. There aren't any clouds called cirronimbus or nimbocirrus. This is because cirrus clouds seldom rain. When they do rain, it'll drop tiny ice crystals that will evaporate before they hit the ground. The chart to the right shows some of the most common types of clouds, what kind they are, and what their name means in Latin. 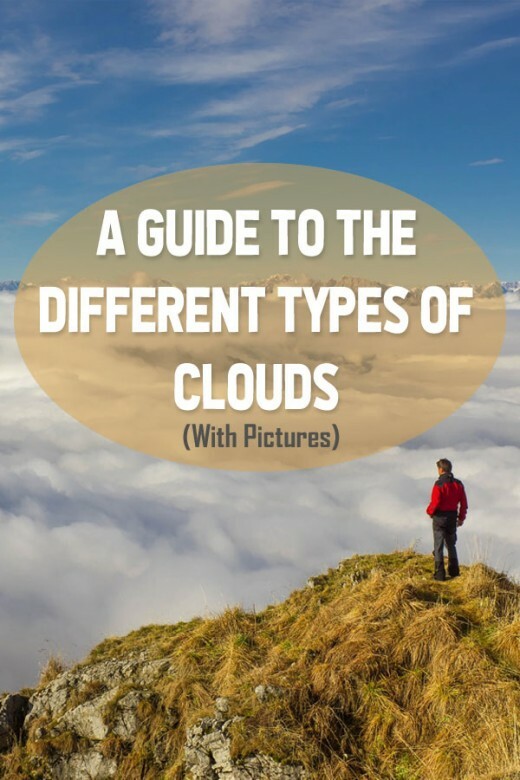 Aside from the common clouds that you may already be familiar with, there are a few types of clouds that are completely different from the ones previously mentioned. 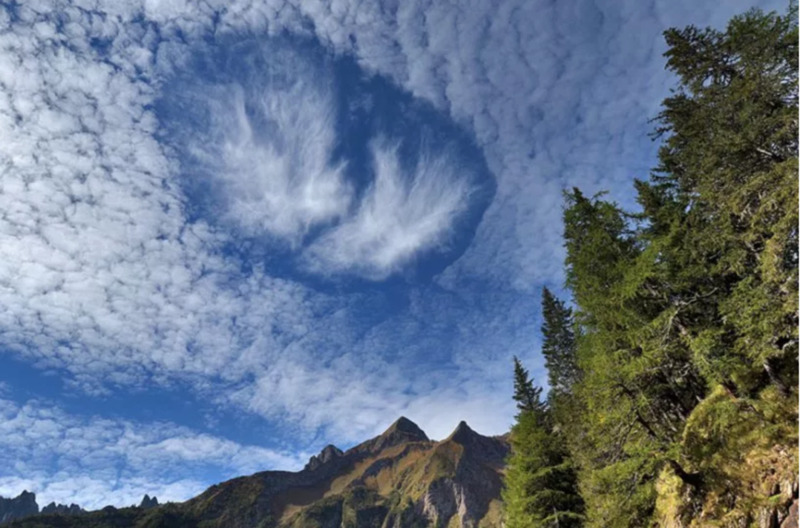 These rare (and weird looking clouds) occur under special conditions. I am studing humidity and precipitation and it took mr to this website so thats why i am here! this was for my brother's and my school and this was our assignment, and was the perfect way to learn about and see these awesome clouds! Helping to teach a student to take his GED, and your site has been a life saver as it is concise and easy to understand for both the forever learner and the one I have to drag to the study table everyday. Blessings and I hope you are able to take your passion and continue to use it to teach the world able what we see everyday but know little to nothing about. This article was very helpful as I assisted my brother in his grade 4 social studies project! Thanks for the succinct information & very handy pictures. 13 months ago from Michigan U.S.A. This is totally great! Thank so much! I got an A with help of this article and a few others. Wow, now I know why this article is being used in schools! It's fascinating! We have altocumulus clouds and cirruscumulus clouds frequently here in Central Florida. The next time I see one you can bet I'll be showing off my newfound knowledge LOL! 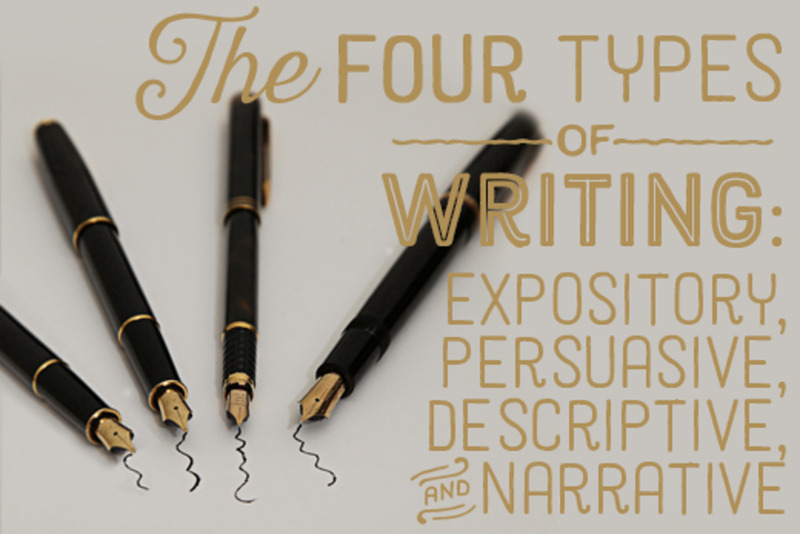 Wonderful informative writing! Loved your photos too. Well done! As a single engine pilot and glider club member clouds are part of my life. Love the hub! Voted up and awesome. Because of my fascination with clouds, I always thought I should be a meteorologist. But way back after high school, it was NOT a cool job at that time. And so I never did it. Stupid me. I think I would have really loved it. Great hub Mel!!! 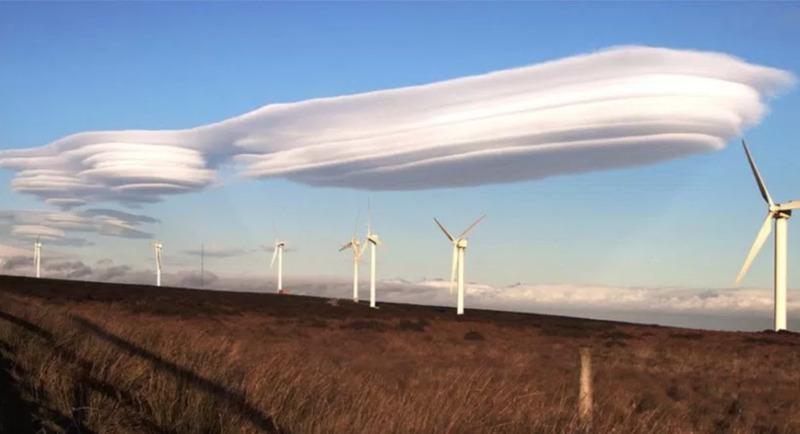 I remember learning about clouds in elementary school and really enjoyed it. Unfortunately I've forgotten most of it so your hub was a great refresher along with some new and interesting facts. I loved the pictures too. Makes me wish we did a cloud unit in fourth grade! Oh, I thought I had commented on this one! Sorry about that. I love this Hub and the pictures are amazing. I voted Up, beautiful and interesting. 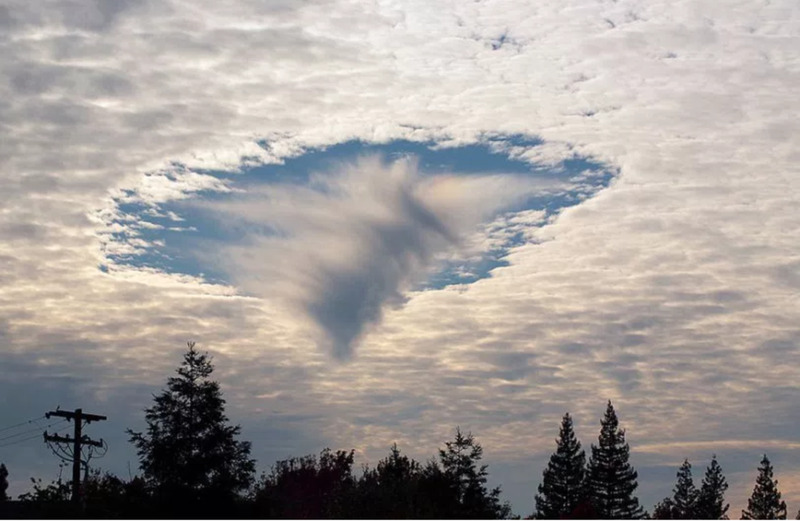 I had learned about clouds in high school, but I forgot most of it. I enjoyed this thorough review and found it very useful. 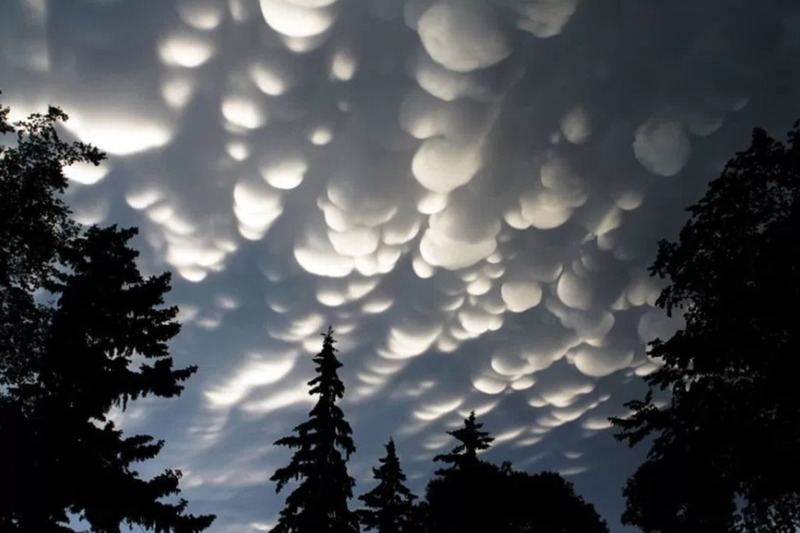 Most people depend on weather forecasts with9out realizing that they can usually predict the local weather just by looking up and observing the types of clouds. Well done, voted up. Enjoyed reading this hub. Good job. How interesting! I never thought that clouds could be classified into so many categories. I guess cumulus clouds are my favorite; they remind me of cotton candy! Fantastic information hub on clouds. If my youngest son has to do a project in this area I will send him to this hub for research. Well done and beautiful. What a terrific hub! I've heard these terms for years, but never researched all the meanings. 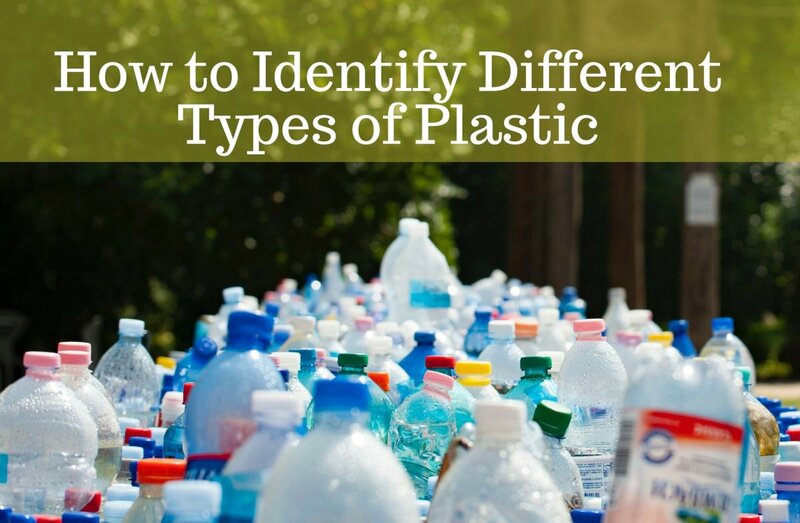 You've provided a simple, easy to understand glossary of the names and what they mean. I love it! Thanks for publishing this hub. Very interesting hub! I enjoyed looking at all the different kinds of cloud pictures. We definitely have stratus clouds in the sky in TN today - looks really dreary and depressing here! Great job - voted up! Wonderful lesson on clouds.This was very engaging and a great refresher course. 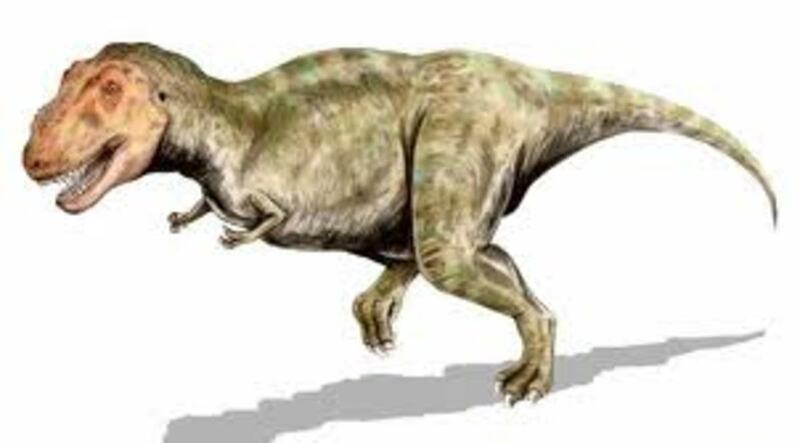 This was once of my favourite things to learn about in high school. A really beautiful hub. Clouds are often overlooked, its easy to forget that there are so many types. I genuinely did not know about Cirrus clouds signalling a change for the worse weather wise; so thanks very much for sharing. 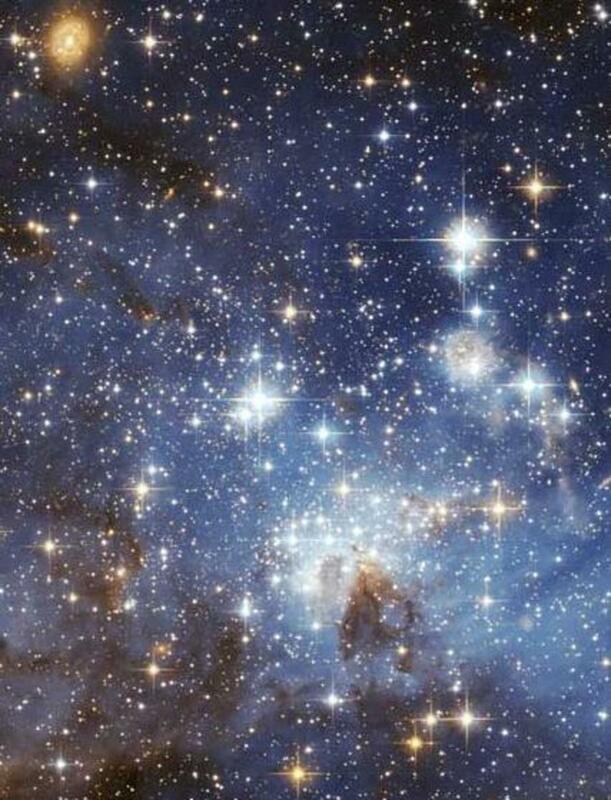 Very interesting and useful hub on creatures nearly always present in the British skies. \i hate clouds and like deserts which plays hell wid 'em. Cloudy means unhappy ...sunny, happy. I enjoyed this, Melbel. Moreover, I was drawn in by the beautiful photographs. Thanks! Thanks for publishing this very informative Hub. If I were still in school and had to do a report about clouds, your article would provide perfect resource material. Your choice of photographs was excellent. They added so much to your article.